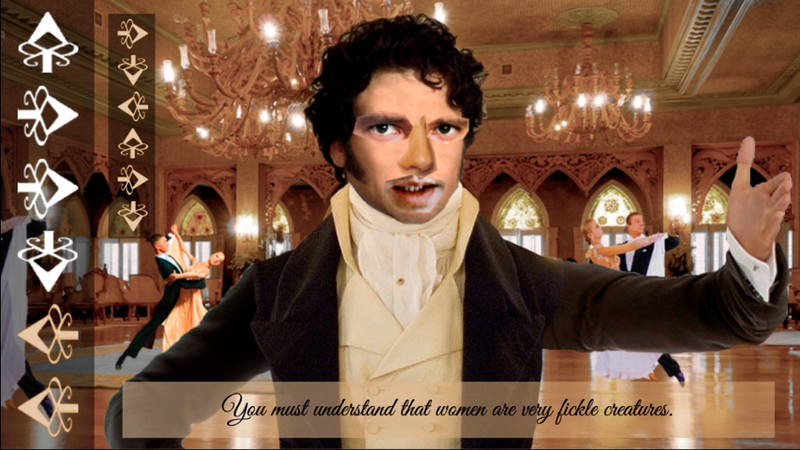 It is a truth universally acknowledged that a single man in possession of a good fortune must be in want of a wife, and that finding such a wife tends to involve a whole lot of dancing. 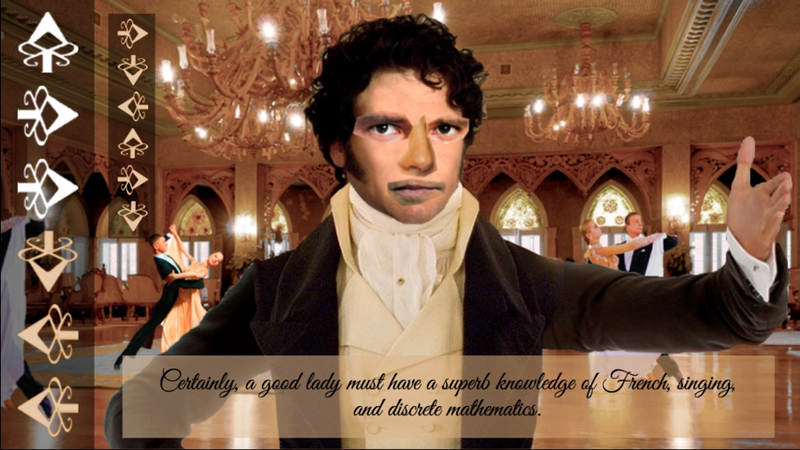 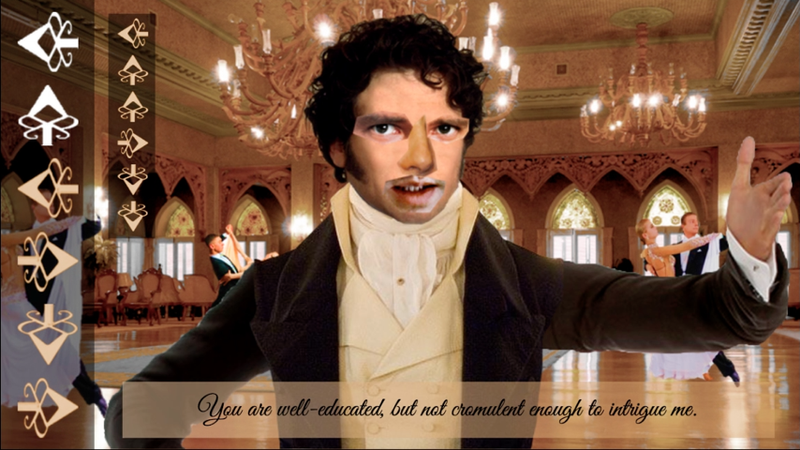 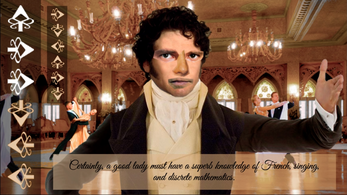 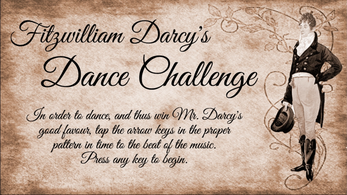 Now, in this ballroom dancing simulator, you too can waltz your way into the heart of Mr. Darcy, the fabulously smouldering (and equally acerbic) leading man of Jane Austen's Pride and Prejudice! Just make sure you don't fall flat on your face in the process. Hint: if you're having a difficult time with the game, try button-mashing.